Arsenal are readying a move for SL Benfica full-back Alex Grimaldo, but will face competition from a host of European heavyweights, according to reports. Jose Mourinho had ordered his former club Manchester United to keep tabs on the 23-year-old star before his sacking in December, while the likes of Manchester City and Atletico Madrid are also monitoring the Barcelona academy graduate. Left-back has turned into something of a problem position for Spanish manager Unai Emery, with Nacho Monreal’s campaign severely disrupted by a host of muscle injuries. The 32-year-old’s contract was due to expire at the end of the campaign but reports claim Arsenal opted to activate a 12-month extension clause in January. 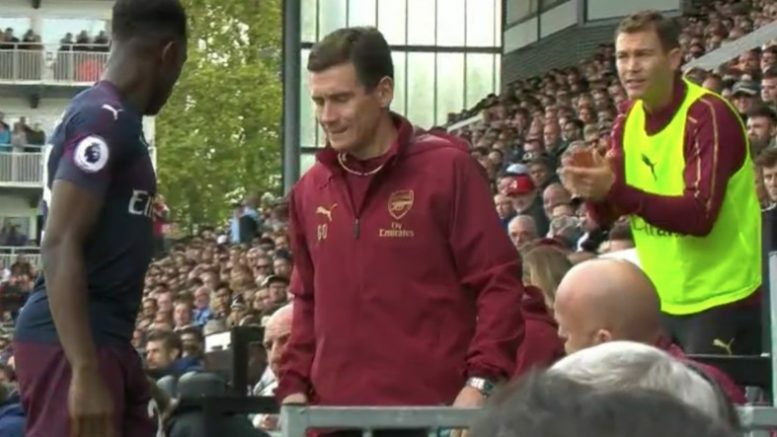 Be the first to comment on "ALMOST AGREED: Arsenal to complete summer swoop for in-demand full-back"